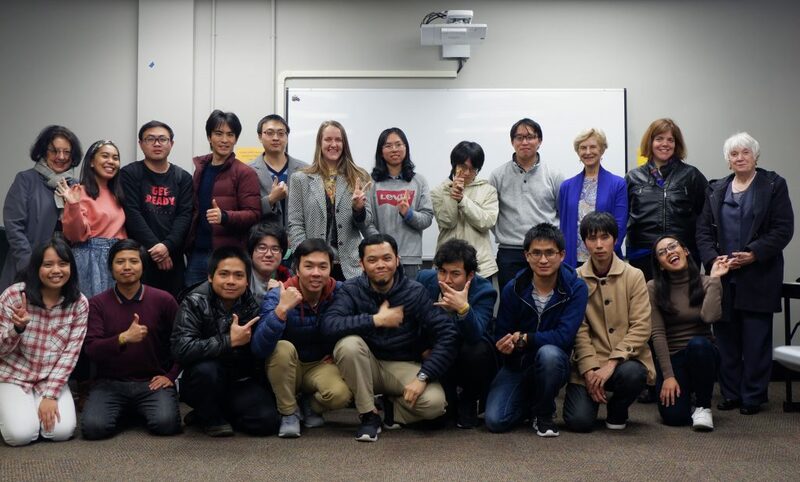 From January 7 to February 2, 2019, some doctoral course students from the Division of Materials Science of the Nara Institute of Science and Technology went to University of California Davis (UC Davis) to participate in the “NAIST Materials Science English and Science Program.” The main goal of this program is to hone the English communication skills of the NAIST students, specifically for oral scientific presentations. NAIST Materials Science students who participated in the UC Davis-NAIST English and Science Program. Under the Division of Continuing and Professional Education of UC Davis, the four-week program includes four classes taught by UC Davis faculty – Professional Presentation Workshop (Destiny Davis), Public Speaking Skills (Ellen Lange), Listening and Pronunciation (Angela Foin) and Hot Topics in Science and Technology (Suzanne Bardasz). In some of these classes, UC Davis students were also invited to join as student conversation partners, to allow the NAIST students to mingle with native-speaking students. 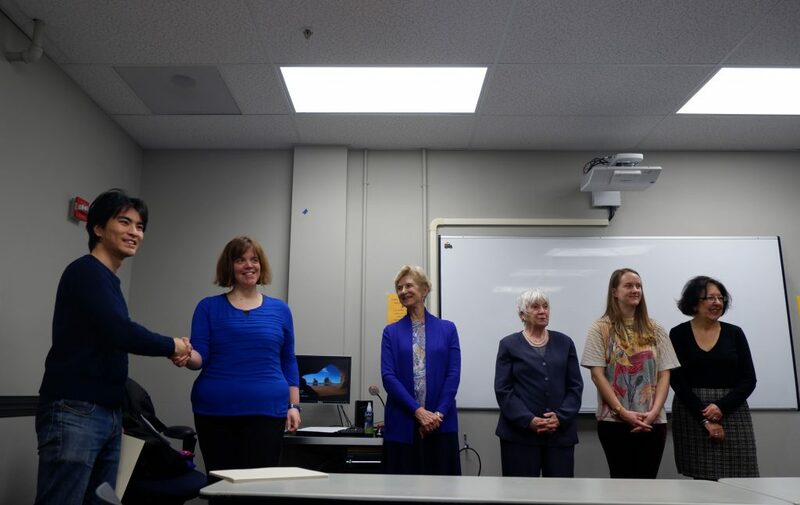 At the end of the program, a mini-symposium showcasing the research of the students was held, where they were given an opportunity to apply what they have learned for the month-long training, through oral presentations. 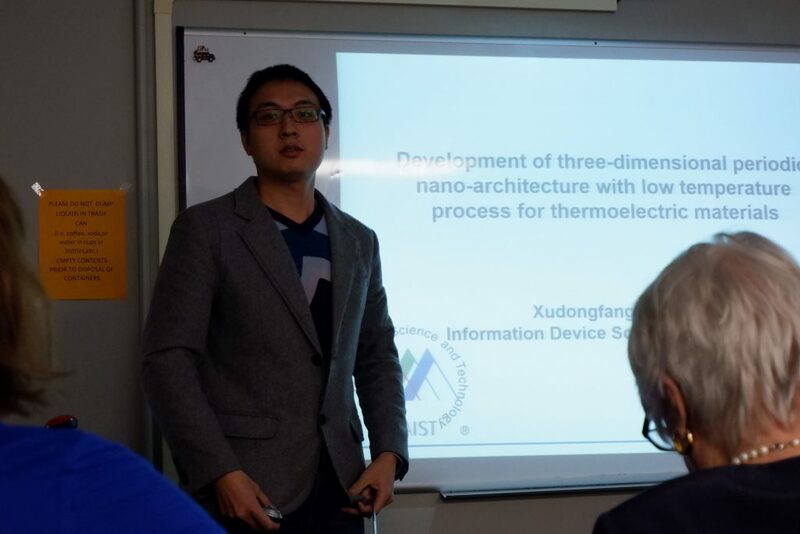 Xudongfang Wang from Information Device Science Laboratory gives an oral presentation as a final requirement for the course. Yasumichi Takase from Complex Molecular Science Laboratory is happy to receive his certificate of completion. The students also had a great immersion experience even outside of class. 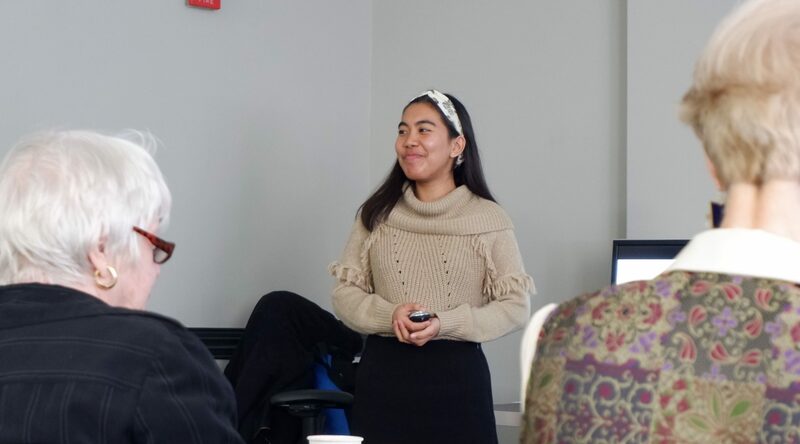 Throughout their stay, all of the students lived with host families, so they were given a lot of opportunities to speak in English— not only for scientific purposes, but also in casual settings. During weekends, the students did not forget to have fun by touring around California. They visited famous tourist attractions such as Yosemite, San Francisco, Sacramento, and Lake Tahoe. 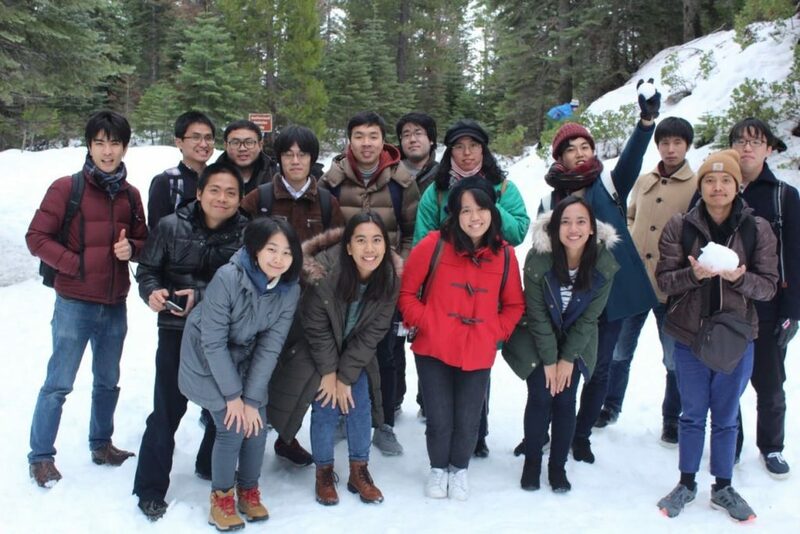 The NAIST group at Yosemite, one of the most popular tourist attraction sites in Northern California. The NAIST students take a selfie with the Golden Gate Bridge in San Francisco. This NAIST-UC Davis partnership program is held annually as part of the doctoral course curriculum of the Division of Materials Science. Year after year, it helps the NAIST students not only to improve their oral presentation skills in English, but also their ability to engage in scientific and casual discussions.